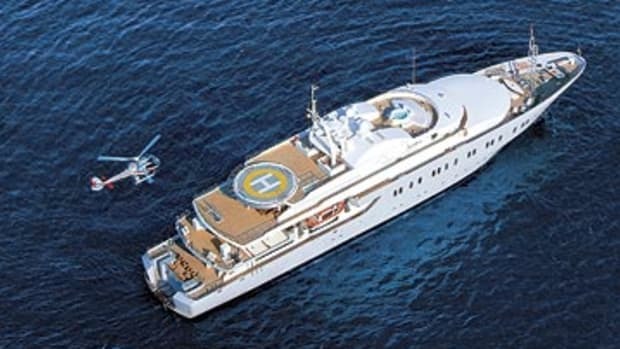 At 382 feet and with accommodations for 70 guests, Turama is also a popular choice for large parties as well as for corporate charters. 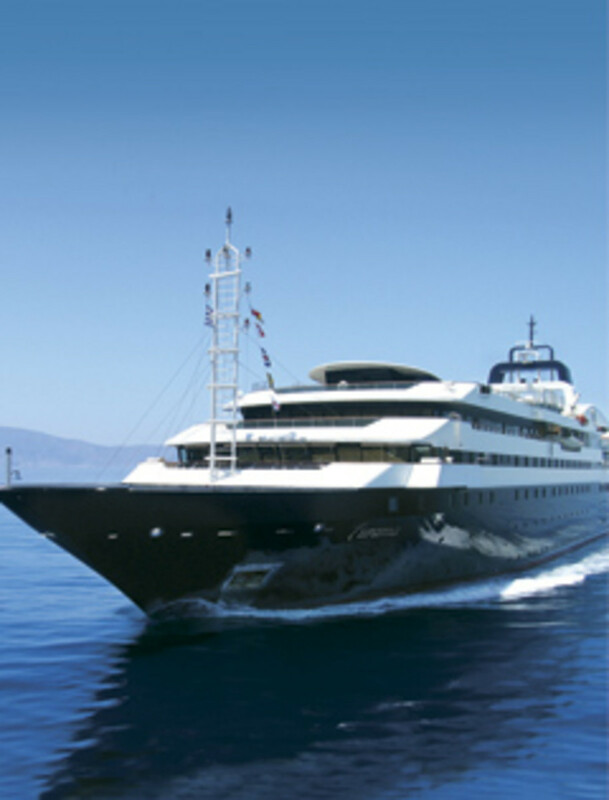 In 2004 Turama was converted from a cruise ship into a charter yacht. At 382 feet and with accommodations for 70 guests, she’s also a popular choice for large parties as well as for corporate charters. Feel free to take the kids aboard Turama: While the adults are relaxing in her new dry sauna, receiving aromatherapy or massage therapy treatments, or just getting a makeover at her beauty salon, the kids will be busy in the playroom with its myriad video game systems or watching DVDs on the multimedia projection screen. Or send them out to play: Several of the 60-strong crew will be more than happy to whisk the kids around on one of Turama’s four PWCs. She charters for 630,000 euro a week (plus expenses), which at presstime was the figure given above.